Studies have shown that hearing aids, even when worn consistently, have been found to be nonfunctional or working less than optimally for up to 50% of children, which is why daily monitoring is critical. The IDEA law requires that each public agency must ensure that the hearing aids (and cochlear implant processors) of children who are deaf or hard of hearing are functioning properly. (IDEA Sec. 300.113 (a) and (b)(1)). a) Bess, F. H. (1977). Condition of Hearing Aids Worn by Children in a Public School Setting. U.S. Department of Health, Education, and Welfare, Publication No. (OE) 77-05002.
b) Elfenbein, J. L., Bentler, R. A., Davis, J. M., & Niebuhr, D. P. (1988). 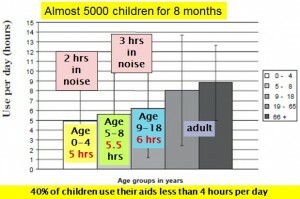 Status of school children’s hearing aids relative to monitoring practices. 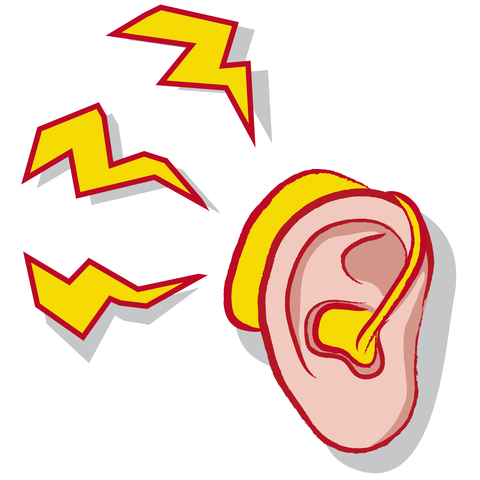 Ear and hearing, 9(4), 212-217.
c) Gustafson, S. J., Davis, H., Hornsby, B. W., & Bess, F. H. (2015). Factors Influencing Hearing Aid Use in the Classroom: A Pilot Study. American journal of audiology, 24(4), 563-568. 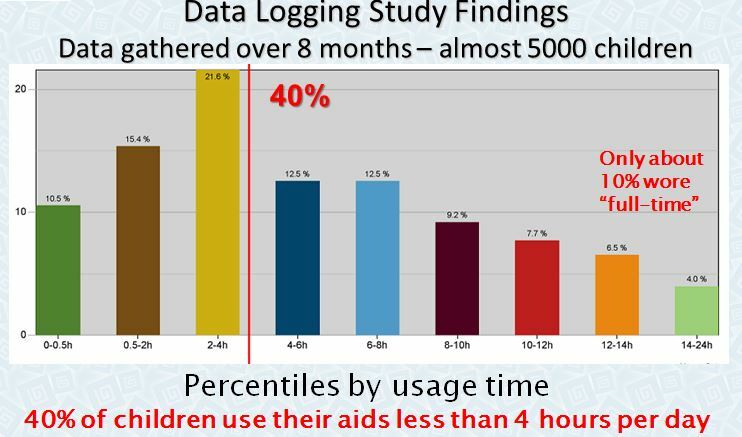 As a professional working with children who are deaf or hard of hearing or a family member, you may want to know more detail about the survey research than what was presented on the Strategies for Keeping Hearing Aids on Young Children webpage. 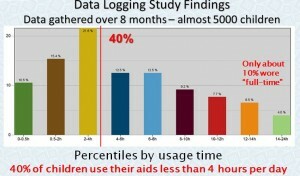 Click here for more information about the Phonak 2010 data logging study in which it was found that only 10% of children use hearing aids full time. 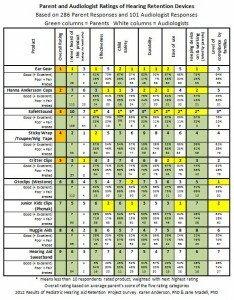 The summary graph Results of Parent and Audiologist Ratings of Hearing Aid Retention Accessories shows the percent ratings by parents and audiologists and the number of responses in each category. Because Ear Gear, the hats and a headband may cover the hearing aid microphone, it was important to determine acoustic transparency of each (the amount of sound blockage caused, if any). Refer to Acoustic transparancy comparisons for charts detailing acoustic responses and photos of a hearing aid with Ear Gear, Silkawear cap, Hanna Andersson cap, and a Hearing Henry Headband in places. To summarize, Ear Gear is fully transparent, the caps seem to minimally affect responses at a couple of frequencies (could fit hearing aids to adjust for this) and the headband, if worn incorrectly so it covers the microphone, will definitely cause a decrease in sound reaching the ear. Getting over my fear of putting them in and how to work them. In regards to working with families, what have you tried with success? Not one thing works with each family. You must have a good working relationship to keep them coming back. Thinking outside the box and understanding what is holding them up gets you on the right path. Not everyone is ready or willing. Work with a partner agency to provide a Mother’s Day Out situation so someone else will keep the hearing aids on to show the parents it can be done. Encouragement by multiple audiologists as families come in to regular appointments. Time and patience. Keeping in close communication and not closing the door simply because the family has barriers or is taking a longer time to make choices. Help families understand their child’s hearing loss and what their child is missing by not having their hearing aids on.